Is New York State a Corporal Punishment State? What does this question have to do with personal protection laws? A parent, guardian or other person entrusted with the care and supervision of a person under the age of twenty-one or an incompetent person, and a teacher or other person entrusted with the care and supervision of a person under the age of twenty-one for a special purpose, may use physical force, but not deadly physical force, upon such person when and to the extent that he reasonably believes it necessary to maintain discipline or to promote the welfare of such person. a. The term “school” means and includes any public, private or parochial child caring center, day nursery, day care agency, nursery school, kindergarten, elementary, intermediate or secondary school. c. The term “teacher” means and includes any school official, which includes but is not limited to school teacher, school guidance counselor, school psychologist, school social worker, school nurse, school administrator or other school personnel required to hold a teaching or administrative license or certificate; social services worker; director of a children’s overnight camp, summer day camp or traveling summer day camp, as such camps are defined in section thirteen hundred ninety-two of the public health law; day care center worker; school-age child care worker; provider of family or group family day care; employee or volunteer in a residential care facility defined in subdivision four of section four hundred twelve-a of this title or any other child care or foster care worker; mental health professional; substance abuse counselor; alcoholism counselor; or all persons credentialed by the office of alcoholism and substance abuse services. 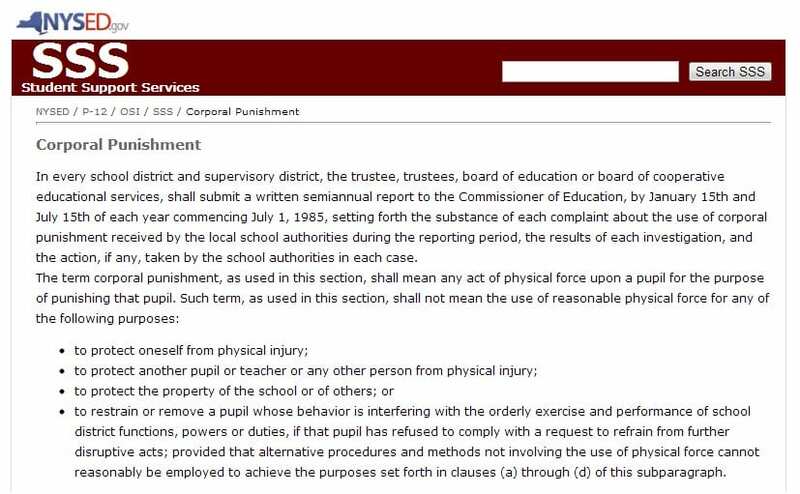 Here is a screenshot of the NYS Department of Education’s public website showing their assumption that Corporal Punishment might be used (as it is lawful) and the policy for handling not the incidents of when it happens but simply the complaints of its use. The point being made here is that much like spanking, hearsay has contributed more to people’s false confidence in, or to the contrary, their unnecessary fear of, the legal right to use a gun to protect oneself or their family. True confidence in the use of a gun comes not only from your developed skill and determination to act, but from the correct knowledge of the laws put in place to protect oneself from any criminal charge whatsoever. This outline is nothing more than just that, and does not presume to provide all of the necessary knowledge to make an informed decision regarding every possible circumstance that comes to one’s self. It will however hopefully dispel some myths regarding New York’s support of the use of a gun, or any other tool, for protection of life, limb, and property. So let’s get to it. Is New York a Castle Doctrine State? Let’s first define what Castle Doctrine is. Castle Doctrine is a legal treatise that formulates around the philosophy that a “man’s home is his castle.” It provides legal presumption of an intruder’s intent to inflict serious bodily harm or death to the homeowners simply by their unlawful entrance into said home. 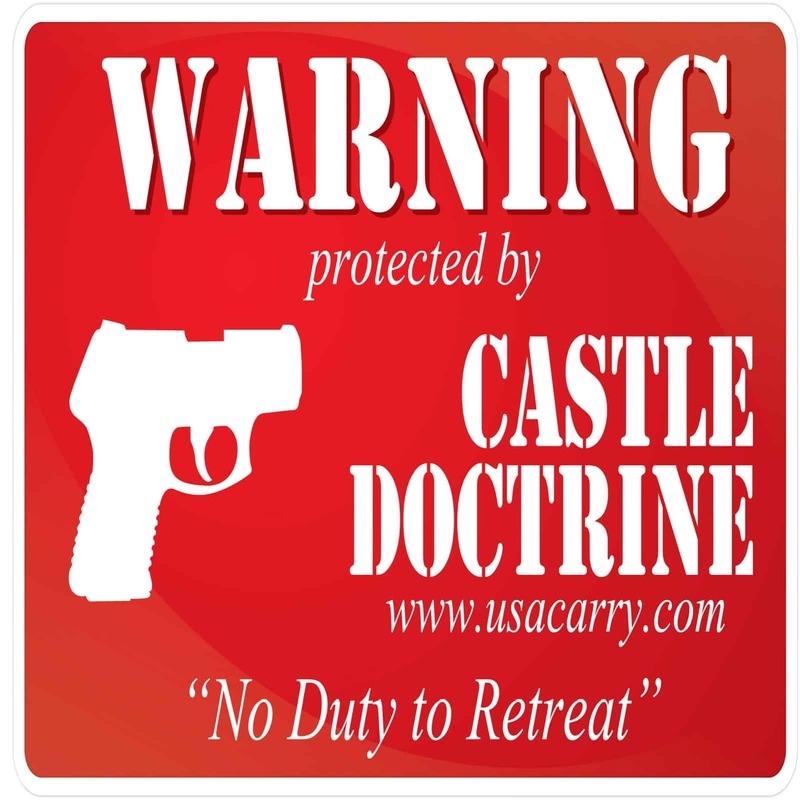 Castle Doctrine relieves the homeowner from their duty to abandon their home or their obligation to announce their intentions to use deadly force when defending themselves and/or their property. With Castle Doctrine, someone unlawfully entering your property will legally provide proof of your intruder’s intent, but it still leaves the burden of proving their ability and opportunity to do serious physical injury on you. This is normally a very important and essential key to someone’s justification of their use of deadly force in self-defense because in most states your legal defense will consist of having to provide evidence of your attacker’s Ability, Opportunity, and Intent to do serious physical injury to you (or someone else), otherwise known as an Affirmative Defense. We say normally, because while most states put the burden of proving such things on the defendant, New York does not! 1) When a “defense,” other than an “affirmative defense,” defined by statute is raised at a trial, the people have the burden of disproving such defense beyond a reasonable doubt. 2) When a defense declared by statute to be an “affirmative defense” is raised at a trial, the defendant has the burden of establishing such defense by a preponderance of the evidence. This means that where most states require the defendant to prove they were innocent, New York leaves the burden on The People (through the discretion of law enforcement and the justice system) to prove that it was wrong for the “victim” to defend themselves with deadly force. The advantage to this however is that it is procedurally more in line with Fifth Amendment protections and its justification is generally more flexible in decree. A person in possession or control of, or licensed or privileged to be in, a dwelling or an occupied building, who reasonably believes that another person is committing or attempting to commit a burglary of such dwelling or building, may use deadly physical force upon such other person when he or she reasonably believes such to be necessary to prevent or terminate the commission or attempted commission of such burglary (as defined in article 140). So while there is a “no duty to retreat when in your home” and the legal protection afforded against “burglary” it is not the same as actual Castle Doctrine and the incorrect interpretation of them has contributed to the myth that New York is a Castle Doctrine state. Is New York a Stand Your Ground State? 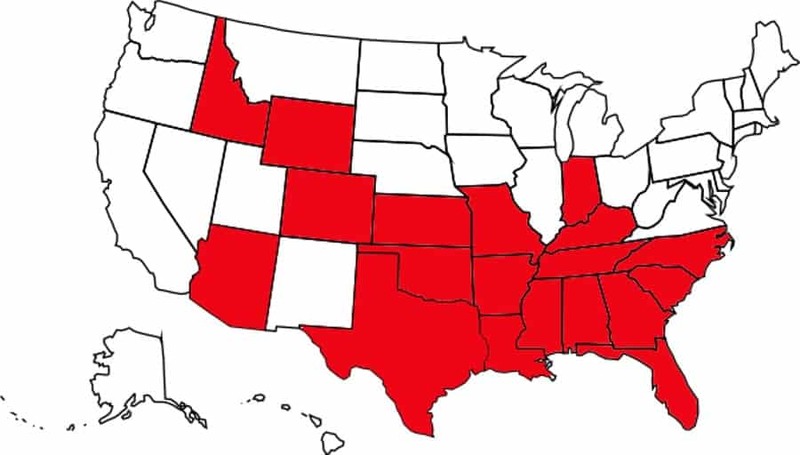 Much like Castle Doctrine, Stand Your Ground Laws are based on the legal treatise which generally relieves any duty or other requirement to abandon a place they have a legal right to be, or give up ground to an assailant, and can use deadly force to uphold it. The main difference between Castle Doctrine and Stand Your Ground is whether the lethal confrontation takes place in one’s home or not. And again, because New York State is not an Affirmative Defense State, there is no legal way to provide for Stand Your Ground Laws. In addition you are under the legal obligation to retreat when not in your own home and it’s safe to do so (for yourself and others). Get a proper appreciation for making sure you know that when it comes to justifying your use of deadly force in NYS it is putting yourself in a position where a jury would believe it was wrong if you didn’t shoot. Remember Necessity and Justifiability. Necessity is based on reasonability and reasonability is based on an average person agreeing it was needed (i.e. Jury). Your justification in NY State will come down to The People not being able to prove you were wrong, or disprove you were right. Remember that your gun is not to be solely used to prevent break-ins, intimidation, or insubordination. A criminal trial is only one of the many types of damages you will face when using a gun in self-defense, consider this along with your moral and ethical obligations. With a proper understanding of NY’s Use-of-Force laws, you should feel more confident in your use of a gun, not less. Next articleAmerica, Do We have Rights or Privileges? Johnathan is a NRA certified firearms instructor currently serving the Northern Finger Lakes Region of New York State. He is qualified to teach the entire PISTOL discipline of the NRA shooting courses: Basic, F.I.R.S.T. Steps, Home Firearm Safety, Personal Protection Inside the Home, Personal Protection Outside the Home, Advanced Personal Protection, and is also certified by the DCJS to teach NYS self-defense and use-of-force laws. He became familiar with firearms through professional instruction and had to learn like most of his students - from the ground, up. Contact Johnathan today to learn what many do not, that, "Knowing when to shoot is just as important as knowing how."